That's what a consignor of 2-year-olds said recently to a leading owner about a horse he purchased at a yearling sale with the intention of putting it in training and re-selling it as a prospective racehorse this spring. He was referring to the potentially negative side-effects from a drug called Tildren, one of two products – along with Osphos – approved in 2014 by the FDA to treat navicular syndrome in horses. The consignor was convinced that the horse he purchased had been treated with one of the two drugs, referred to generically as bisphosphonates, to be more presentable, both physically through its analgesic effect and in radiographs. Many veterinarians believe bisphosphonates provide short-term improvement to the radiographic appearance of the sesamoids in a young horse. In the case of the horse that had been “Tildrened,” it presented and X-rayed fine but could not handle the rigors of even light training a short time after purchase. 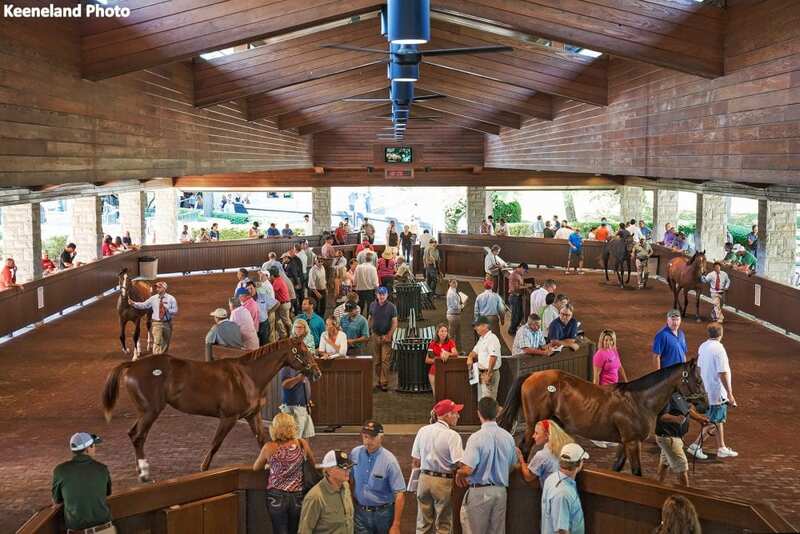 That 2-year-old consignor who was “Tildrened” isn't alone in his concern over the use of bisphosphonates in weanlings and yearlings before sales. The Paulick Report recently received a message from a Florida veterinarian, who asked to remain anonymous, concerning the troubling increase in fatal injuries sustained by horses at Santa Anita. “In my opinion, Santa Anita's recent breakdowns may have less to do with the track and more to do with the rampant use of bisphosphonates,” the veterinarian wrote. “I am an equine only veterinarian and work primarily on Thoroughbreds in training. In our practice, we have seen an almost ten-fold increase in catastrophic breakdowns and large long bone stress fractures (humeral/femoral/physeal) in our 2-year-old in training horses (both sales and race-prepping clients). “These drugs are widely used prior to the yearling sales in Kentucky to supposedly decrease certain radiographic findings, despite these drugs only being FDA approved for the use in horses 5 years of age and older. The scariest part about bisphosphonates is that no one knows the half-life of the drugs in horses. In humans, the half-life can be up to 10 years. “Even if a horse has not been given a bisphosphonate as a yearling, there are still trainers/vets on the track that are giving this for its almost immediate analgesic effect. It can take a lame horse and make them sound the very next day. There is research on the approved use of bisphosphonates but nothing on what is referred to as “off-label” use, prescribing the drug for reasons other than what is on the Tildren or Oxphos package inserts or to horses under age 4. Just this week, the Thoroughbred Horsemen's Association is reported to be pushing for rules that would partially ban bisphosphonates. The British are way ahead of us with their rules. According to a British Horseracing Authority rule adopted in 2017, bisphosphonates may not be used in horses until they are 42 months old. Horses who have been treated inappropriately with the drug will receive a lifetime ban from racing, presumably because of the inherent dangers of a drug that can be released over an extended period of time. From an ethical standpoint, there doesn't need to be any discussion until research proves it is safe to give to young horses with growing bones (which seems doubtful, given the drug package warning and comments by such respected veterinarians as Dr. Larry Bramlage). Quite simply, when it comes to young racehorses, STOP USING BISPHOSPHONATES. Stop using it to defraud auction buyers and stop putting horses' and jockeys' lives at risk on the racetrack or at training centers. Now that we have that problem solved, there is one other small issue to consider: what to do with the hundreds or possibly thousands of Thoroughbreds that may have been treated with this drug in an “off-label” manner in recent years? Do we just allow potential carnage to continue at a time when racing – as a result of the spike in fatalities due to broken bones at Santa Anita – is under a national media microscope and public sentiment is almost certainly turning against the sport as a result? Or does the industry actually do something other than form committees and issue statements? Santa Anita, incidentally, is not the only place to have experienced an increase in fatal injuries. The Kentucky Horse Racing Commission expressed concerns about an increase in 2018 fatalities, and the Paulick Report has received multiple calls from horsemen based at Oaklawn Park this year saying there has been an increase in catastrophic injuries during racing and training at the Arkansas racetrack. (Oaklawn Park does not provide statistics to the Equine Injury Database, so there will be no way to confirm those suspicions). One trainer who called the Paulick Report said he has witnessed horses suffer a kind of injury this year unlike anything he has seen in a half century on the track, and he does not attribute it to the racing surface. In the world of air travel, when Boeing manufactured a new jet that sustained not one, but two, unexplained crashes, the Federal Aviation Administration investigated and grounded that jet – until it can confirm there are no safety issues. Horseracing has no Federation Aviation Administration. Racing does have a collection of state regulatory agencies, some with more enforcement powers than others. Those agencies would be derelict in their duty if they did not set forth emergency rules on the “off-label” use of bisphosphonates and demand veterinary records of all licensed veterinarians practicing on racehorses in their state. Young horses treated with bisphosphonates must be identified and placed in an “at risk” category. In states where public auctions of weanlings, yearlings and 2-year-olds in training occur, there is little to no regulatory oversight. In those states, but particularly in Kentucky where the highest number of horses are raised and sold at public auction, it would not be inappropriate for attorneys general to use their authority, subpoena veterinary records and identity horses that may be at risk of suffering potentially fatal injuries as a result of the “off-label” use of a drug to obtain financial gain. It's not good enough to just say, “We won't use it any more.” No one has any idea how many horses treated with this drug are now engaged in the game of Russian Roulette referenced by Dr. McClellan at the AAEP convention. That's my view from the eighth pole. This entry was posted in NL Article, Ray's Paddock and tagged bisphosphonates, drugs in racing, equine fatalities, Navicular Syndrome, osphos, tildren by Ray Paulick. Bookmark the permalink.